A combination of legislation and trends are changing cleaning and sanitation in the bakery & snack food industry. 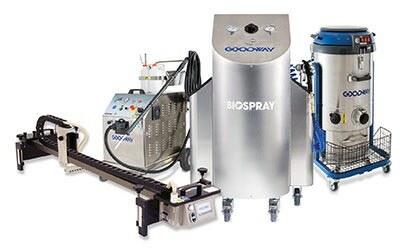 To help participants navigate the changes, Goodway Technologies is hosting a free webinar “Cleaning and Sanitation in Bakery & Snack Food Manufacturing: A Changing Landscape” on Wednesday, January 9, 2019 at 11 a.m. EST. The webinar host, Evan Reyes, will discuss how the Food Safety Modernization Act’s (FSMA) heightened emphasis on cleaning and sanitation has changed the food and beverage landscape. Trends that are affecting sanitation, such as increased consumer awareness of food allergens and the additional challenges with ready-to-eat (RTE) baked goods, candy and snack bars will also be discussed. Participants will learn about proper cleaning techniques, best practices and available sanitation solutions. There will be a question and answer period at the end of the webinar. Register for free for the webinar here. Evan Reyes currently serves as National Account Manager for Goodway Technologies, a global sanitation equipment provider, where he specializes in helping customers in the food and beverage industry strengthen their quality and food safety programs through the introduction of new cleaning and sanitation technologies. Don’t miss this important webinar! Register for our webinar on January 9 at 11:00 AM EST entitled “Cleaning and Sanitation in Bakery & Snack Food Manufacturing: A Changing Landscape”. Learn more about our solutions for the food and beverage industry. Craft beer is a big deal — according to Research and Markets, the craft industry is headed for huge growth over the next four years. It’s no surprise, then, that breweries are popping up across the country, each trying to be the next “big thing”. Consider the rise of alcoholic root beer; last year, Americans spent more than $111 million on this sweet and spirited beverage. The problem? Speed-to-market may breed problems with sanitation: How do companies make sure their canning and bottling processes are always squeaky-clean? With the craft beer market bubbling over, government oversight is also on the rise. According to Orchestrated Beer, one key piece of legislation that may impact breweries is the Food Safety Modernization Act (FSMA). This FDA law quietly passed back in January 2011 to minimal fanfare and limited impact — not really shocking since it’s actually the latest in a line of amendments to the Food, Drug and Cosmetic Act of 1938. Why does it matter now? Because the Alcohol and Tobacco Tax and Trade Bureau (TTB) can call in the FDA if there’s any indication a batch of beer has been “adulterated” or may present a health risk to consumers. Next steps include a health hazard assessment, voluntary product recall or more substantial penalties. 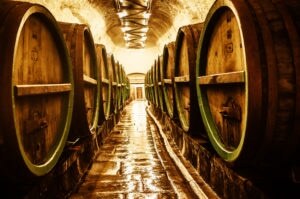 Specifically, the FSMA “requires food facilities to evaluate potential hazards, implement and monitor precautionary measures to prevent contamination, and create plans to take any necessary corrective actions.” With the TTB set to audit every brewery in the country by the end of 2016, it’s worth evaluating current sanitization process before the FDA comes calling. While it’s one thing to know that FDA rules may impact craft brewers — and that more breweries in the market mean increased oversight — it’s another to implement day-to-day cleaning processes which are both cost-effective and meet current standards. Consider the evolving nature of craft brewers; with commercial-grade technology now available to even small-batch companies, the road from homebrew to retail market is shorter than ever. The problem? There’s a big jump between “clean enough” and “FSMA approved”. The canning and bottling process is a good example: Companies need a solution that won’t slow production but offer the same kind of professional-grade quality as their brewing equipment. 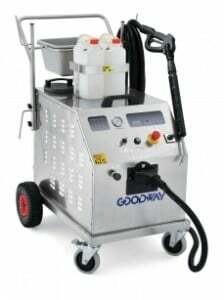 Here, the key is specialization, such as a heavy-duty dry vapor steam cleaning solution. There are several advantages for such a system for craft beer makers. 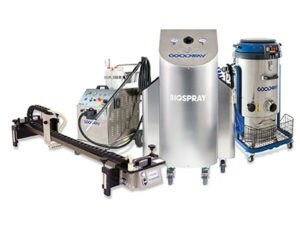 For example, dry steam dissipates almost instantly on contact while still completely clean canning and bottling machinery. Better still, new portable offerings mean that no matter how your brewery is structured — perhaps you enjoyed a well-planned machinery and market expansion or perhaps your facility has grown more “organically” — you can reach every nook and cranny and ensure you’re always in compliance. Little brews are a big deal. Breaking Box — Upscale Wine Market Ready for Cardboard Cabernet? American wines have secured a spot on the world stage — as noted by NBC News, it’s been 40 years since the “Judgment of Paris” which saw new-breed California wineries triumph over established French classics. American winemakers haven’t stopped innovating and are now spearheading a move to boxed wines on an even playing field with the best in the business. But are consumers and wine experts ready for upscale boxes of Cabernet and Merlot? Boxed wines got their start in Australia more than 50 years ago thanks to winemaker Penfolds. The company developed a cardboard box and plastic bladder system which both dramatically lowered production costs and came with the added benefit of keeping wine fresh much longer — what could possibly go wrong? Americans love wine. According to the Wine Institute, reds and whites consumed across the United States totaled 893 million gallons in 2014 — that’s an average of 2.80 gallons per person, per year. But it takes more than good grapes and a skilled vintner to ensure both traditional and cutting-edge wine blends are safe for human consumption: Here’s a quick look at the science of safe wine.